A key inhibitor to achieving long-term sustainability for Africa's agricultural practitioners, particularly small-holder and subsistence-level farmers lies in accessing adequate financing. "There is a real need to unlock financing for small-holder farmers to give them access to mechanisation and other technologies but there is no use in helping them buy a tractor and then they don't have money to buy seed and fertiliser," says Antois van der Westhuizen, managing director of John Deere Financial. 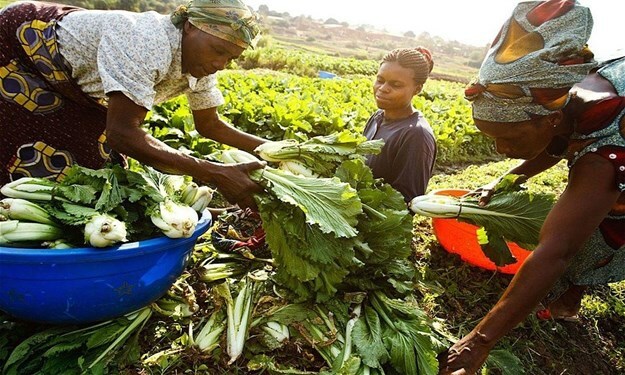 Access to finance is needed to unlock Africa's agricultural potential but it cannot be focused on just one aspect of the value chain at the expense of others. Van der Westhuizen says this is partly why the traditional reliance on grant funding from government sources or NGOs has not succeeded in creating real agricultural productivity gains on the continent. It has simply been too limited in scope. "For a bank the risk profile of a commercial farmer is vastly different to that of a smallholder farmer. It makes more sense for them to lend to the end-customer of a group of smallholder farmers than each individual smallholder. If you’ve got a community of smallholder farmers growing barley for a brewery then it makes more sense for the bank to lend to the brewery who can then on-lend to the smallholders." Van der Westhuizen says there are about 32,000 commercial farmers in South Africa of which it is estimated that between 5,000 and 7,000 are responsible for producing roughly 80% of the country’s agricultural output. By contrast, on the rest of the continent smallholder farmers account for between 70% and 80% of agricultural output, which is often insufficient to meet their country’s nutrition requirements – this results in countries having to import food from abroad, often from heavily subsidised markets like the European Union, which makes it difficult for domestic farmers to compete on price. This too results in a situation in Africa, which is home to roughly 60% of the world’s available arable land but is still regarded as a food insecure continent, and is partly due to a lack of access to mechanised solutions such as irrigation equipment meaning as much as 90% of the smallholder farmers on the continent still rely on rain to water their crops. Improved farming techniques, access to better seeds and other mechanised equipment could further boost agricultural yields. Van der Westhuizen adds that electronic payment and receipt records of these accounts can be leveraged to harvest valuable client information which can then be used to create more accurate risk profiles of smallholder farmers by analysing their cash flow management, repayment histories and spending habits. "The more accurate a picture you can build of the borrower the better you can price their risk, which boosts the likelihood of credit providers actually wanting to lend money to them. You could even use their expenditure on inputs like fertiliser to estimate their approximate yields based on the size and quality of the land on which that fertiliser was used, and for which crops." "By thinking laterally and by utilising better information through the power of technology we can build financing models that price risk more competitively, resulting in better repayment terms for the borrower," says van der Westhuizen. "As we improve our risk pricing models and adapt them for the unique circumstances of Africa, we can also improve the likelihood that lenders actually want to lend, which in turn then makes it possible to boost access to financing for inputs across the entire agricultural value chain."